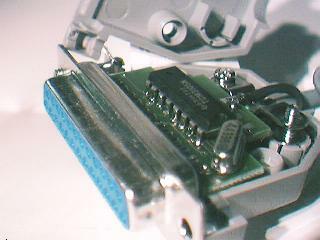 The mini-modem is not a conventional modem, but is designed to be used with packet radio. Back in the days before the internet became as popular as it is, packet radio was often used to send data around the world without incurring the expense of using your phoneline. Although packet radio was incredibly slow because of the low frequency long-wave, it was however free.